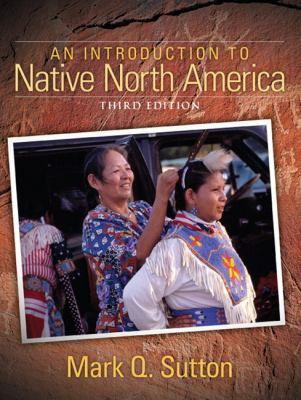 The Third Edition of An Introduction to Native North America provides a basic introduction to the native peoples of North America, including both Eskimos and Indians. Beginning with a discussion of the geography of North America, this text delves into the history of research, basic prehistory, the European invasion, and the impact of Europeans on Native cultures. A final chapter covers contemporary Native Americans, including issues of religion, health, and politics. Much of the book is written from the perspective of the ethnographic present, and the various cultures are described as they were at the specific times noted in the text.Sutton, Mark Q. is the author of 'Introduction to Native North America ', published 2007 under ISBN 9780205510870 and ISBN 0205510876.